So we’ve heard it all before. The ancient sites and the history, the Parthenon and the Acropolis Museum, the bars and shops… but what really makes Athens an ideal city break destination is its proximity to the sea. Literally minutes from the Greek capital lies a coastline dotted with luxury hotels, beautiful beaches, waterfront boulevards and one of the fastest up-and-coming cultural areas in Attica. And all this overlooking a stunning seascape, sailing yachts and small islands on the horizon. This, my dear luxury traveler, is the Athenian Riviera. Starting from the port of Piraeus all the way to Cape Sounion along the coastal Poseidonos Ave — named after who else, the god of the sea Poseidon — one can enjoy a fully-fledged holiday in Greece — sun, sea, glamor and all — without leaving the capital. The Athenian Riviera is home to some of the country’s finest hotels, fantastic nightclubs, impressive recreational areas and will very soon become the heart of Greek culture. Along this very coast, one the country’s largest infrastructure projects, designed by Italian architect Renzo Piano, also behind the Georges Pompidou Centre in Paris, the 566 million euro Stavros Niarchos Foundation Cultural Center (SNFCC) is expected to open in 2016 and will house the Greek National Opera, a two-million-book National Library and the 170,000m2 Stavros Niarchos Park on the Faliro Bay shoreline. Further down the coast, the Maritime Tradition Park near Paleo Faliro’s Flisvos’ area hosts historical ships, with the Georgios Averof battleship taking center stage. 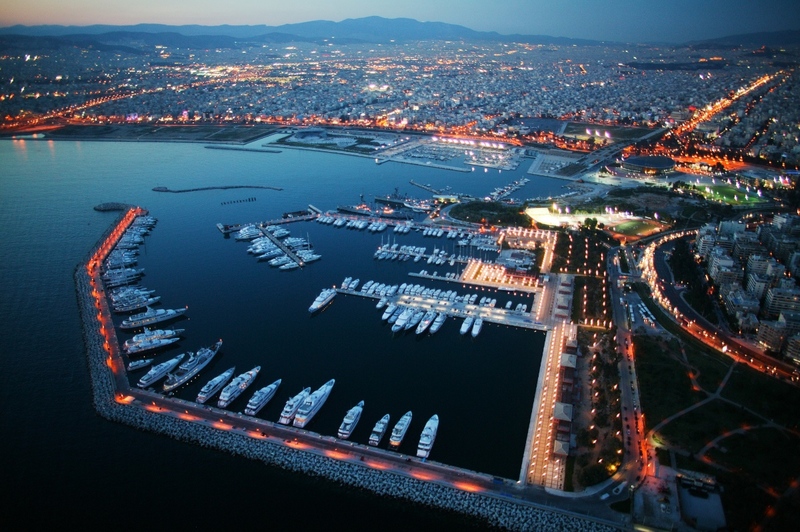 Off the Faliro coast, the popular Flisvos Marina provides high-class mooring facilities and services as well as the best in dining, shopping and recreation…overlooking the Saronic Gulf. And then comes the upscale Glyfada district and its trendy cafes, wide range of restaurants, chic boutiques and super summer clubs. Minutes later, Vouliagmeni Lake and mineral spa with water at a constant 24 degrees Celsius all-year-round is a unique experience in itself. Its mysterious underwater cavern has repeatedly been the subject of many expeditions. The Athenian Riviera overlooks the Saronic Bay, and a weeklong stay in any one of the five- or four-star hotels promises to be a unique experience as visitors can – besides basque in the sun – take a day cruise to Epidaurus to see an ancient Greek theater performance, visit one of the Saronic islands (Agistri, Poros and Aegina) or visit Cape Sounion and the Temple of Poseidon at sunset for one of the most romantic evenings…. 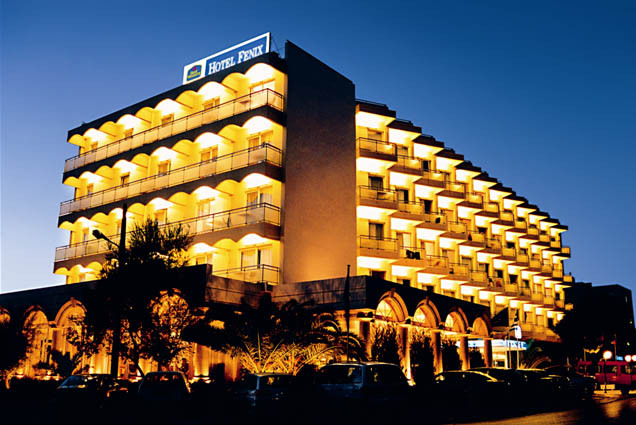 In the second part of the GTP’s luxury series, we explore the coastline hotels, which were the first to raise the standard of accommodation in Greece in the early ’60s. Some of these exclusive establishments hotels have served as filming locations due to their idyllic surroundings and have hosted prominent figures including pop stars and kings, opera singers and athletes. 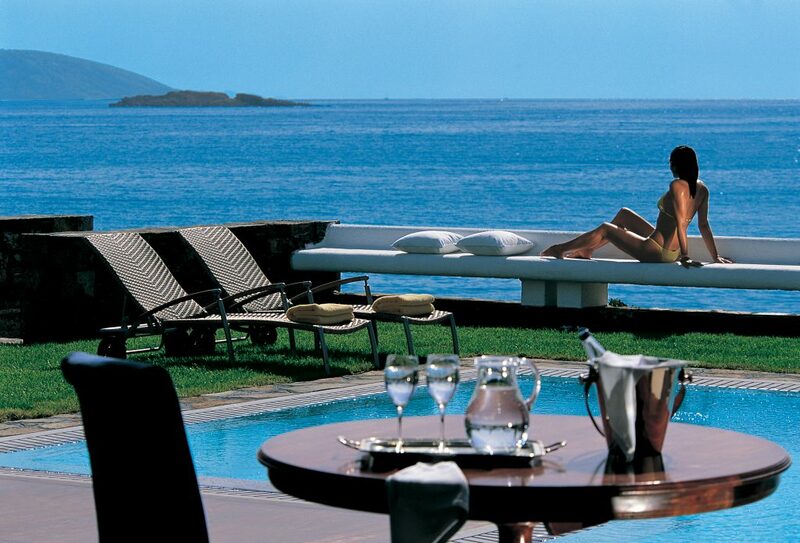 Built in 1967, the Arion, a Luxury Collection Resort & Spa, Astir Palace, Athens, literally means luxury. 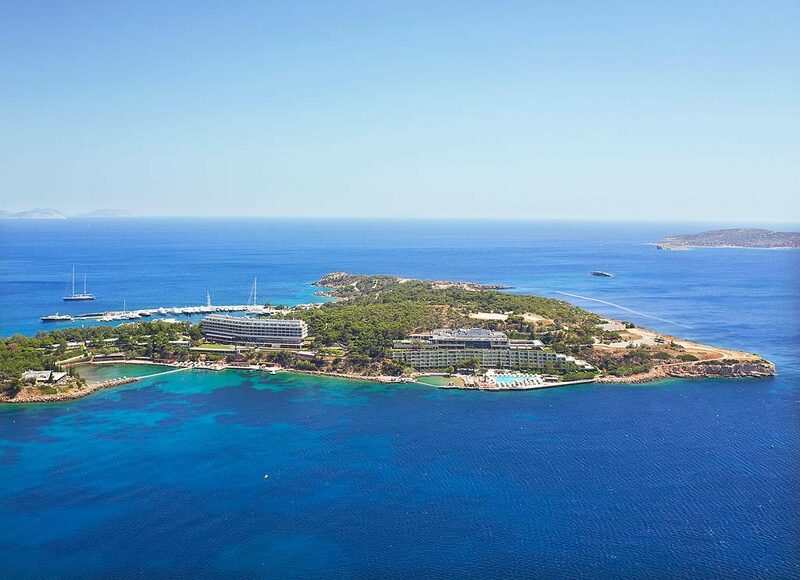 With captivating views to the Saronic Gulf, this hotel makes you feel privileged and pampered to the fullest thanks to its ultimate guest rooms and bungalows, the vast array of recreational and rejuvenation activities, and of course its exceptional dining experiences. Besides Greek gourmet and its Epicurean Expeditions, the hotel hosts the world famous Matsuhisa Athens by Nobu for the finest Japanese food in the city. 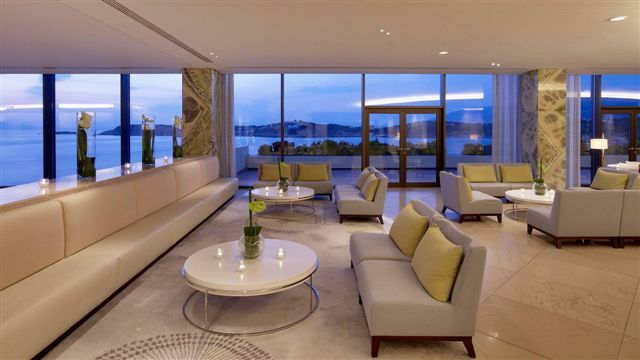 Situated on a private little peninsula along the Athenian Riviera, The Westin Athens, Astir Palace Resort, Athens is all about stylish elegance and stunning settings. The pair of private beaches and two pools, the fantastic food, the morning dives, the tennis, volleyball, fitness center and the summer kiddies camp, make this the unique place to unpack and settle down for the summer. And to top it all off… what about those chocolate covered strawberries complimentary with the champagne? With steam baths, jacuzzis, private pools, gyms and decks, in-room fireplaces, panoramic sea views, marble-lined bathrooms and wooden floor terraces its no wonder the the Grand Resort Lagonissi won the World Luxury Hotels award last year. 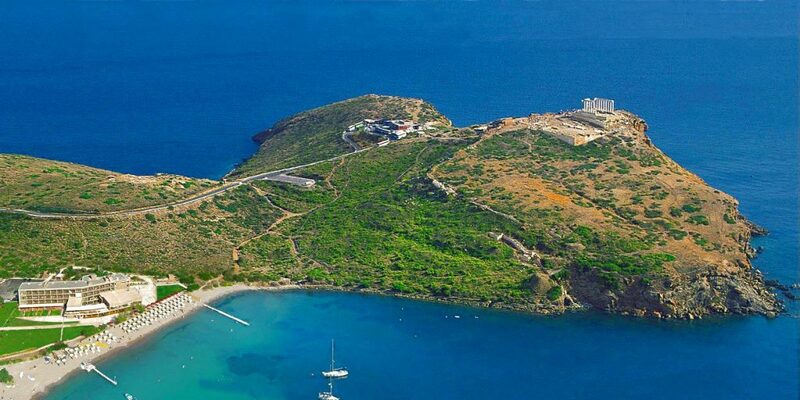 This exclusive resort is situated on 72 acres of a lush private peninsula boasting sandy coves and intoxicating blue waters. Built in 1960, this sanctuary lies some 50 minutes from the center of Athens and 15 minutes from the airport. As for the food? No one gets bored here, with a wide array of waterfront restaurants serving everything from Greek specialties and fresh seafood to Italian cuisine, and Lebanese finger food with a twist, and for the most adventurous palates, Polynesian and sushi delicacies. For over half a century, the Margi boutique hotel has left its mark on hospitality being among the first to make the Athenian Riviera a reality. This sanctuary by the sea is the ideal place to let go, chill out and live life to the fullest. The exotic Marrakesh-styled Malabar Lounge, the mystical Baku Restaurant, and the hotel’s very own mini farm make the Margi a haven away from home combining discreet luxury and Mediterranean ambience. The Margi is among the Small Luxury Hotels of the World. 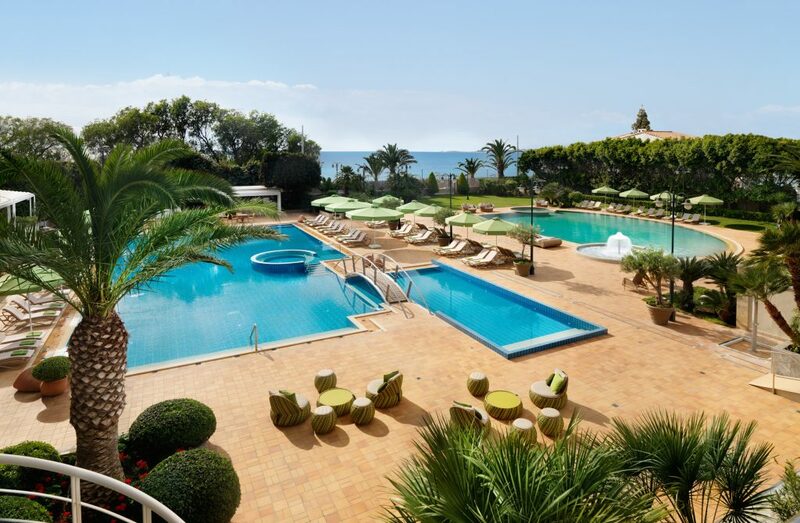 Divine luxury is the middle name of this gem by the sea, offering the best in thalassotherapy with a 3,500m2 spa, stunning sea views, a private beach, outdoor swimming pools, seaside restaurants and pool bars, and extensive business and events facilities. The proof is in the pudding… as they say… with the Divani boasting loyal visitors all year round thanks to its polite and attentive staff. 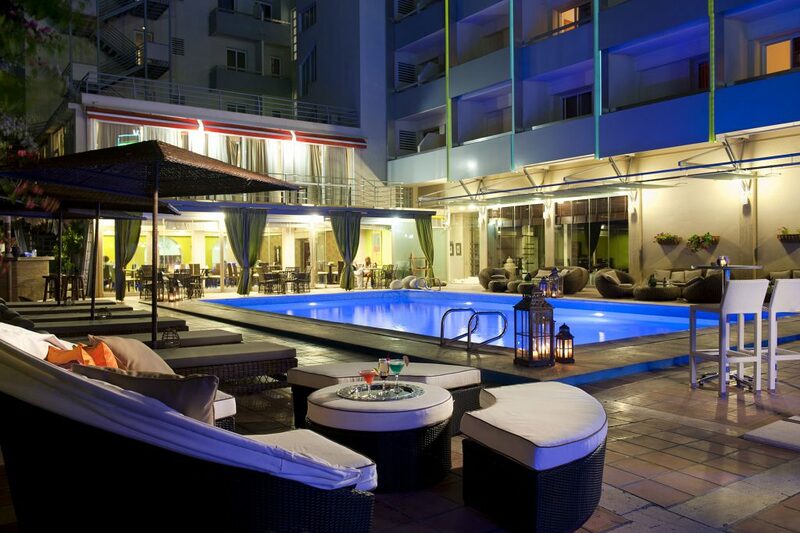 Of course, the plethora of amenities and the fine cuisine by the pool or on the waterfront just add to that. Also a Divani Collection member, this boutique hotel is all about exclusivity. As one reviewer put it: “Kindness is the Key…and that’s what you find in there.” The people at Apollon Suites know how to make you feel special. Add to that the tiny private beaches, impressive pools, the elegant suites and the fantastic food and you’re set for a memorable holiday. A stone’s throw away from a beautiful sandy beach with compelling views of the Saronic Gulf, Amarilia Hotel offers its guests a home away from home with staff on hand to answer questions, guide and serve. This hotel first opened its doors in 1967 attracting prominent figures from the arts, sciences, politics and sports for its finesse and hospitality. Today, the renovated hotel maintains the aura of yesteryear together with a modern aesthetic that exudes a welcoming warmth. Its ideal location provides easy access to sea, shopping and nightlife… all of it literally at your feet. Under the motto “Feel Like Home” this boutique hotel provides tailor-made service for every single guest, whether there on business or pleasure. The hotel gets thumbs up from guests for its attentive and kind staff and its family-friendly environment. 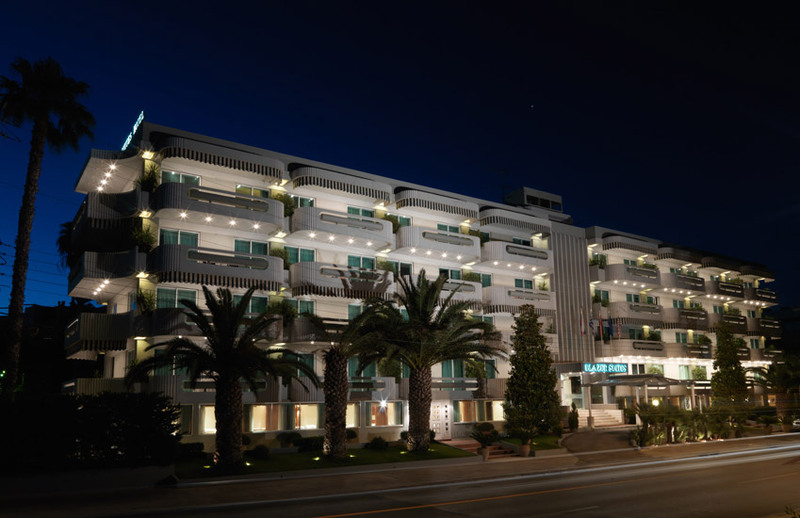 A Best Western hotel, Fenix is within walking distance of one of the hottest suburbs in Athens, Glyfada and offers discreet upscale ambiance, the best modern amenities, spacious rooms and a caring staff that’s been lauded. The beach-front Aegeon Beach is an ideal weekend getaway offering exceptional service, warm hospitality and a magnificent view from its spacious verandas of the Temple of Poseidon.